Robert Anthony Plant CBE (born 20 August 1948) is an English musician, singer and songwriter, best known as the lead vocalist and lyricist of the rock band Led Zeppelin. He has also had a successful solo career. 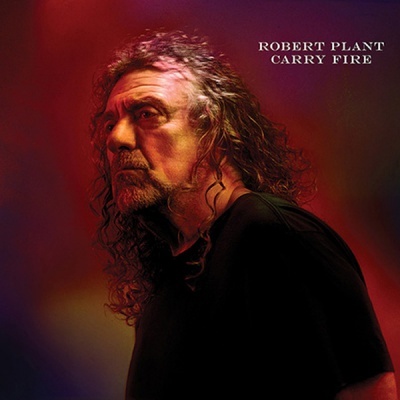 With a career spanning more than 40 years, Plant is regarded as one of the most significant singers in the history of rock music, and has influenced contemporaries and later singers such as Freddie Mercury, Axl Rose and Chris Cornell. In 2006, heavy metal magazine Hit Parader named Plant the "Greatest Metal Vocalist of All Time". In 2009, Plant was voted "the greatest voice in rock" in a poll conducted by Planet Rock. In 2008, Rolling Stone editors ranked him number 15 on their list of the 100 greatest singers of all time. In 2011, readers of the same magazine placed Plant in first place of the magazine's list of the best lead singers of all time. Plant was born in the Black Country town of West Bromwich (then in Staffordshire, now in West Midlands) to parents Robert C., who worked as a civil engineer, and Annie C. (Cain) Plant. He grew up in Halesowen, in Worcestershire, now West Midlands. Plant gained an interest in singing and rock and roll music at an early age. When I was a kid I used to hide behind the curtains at home at Christmas and I used to try and be Elvis. There was a certain ambience between the curtains and the French windows, there was a certain sound there for a ten-year-old. That was all the ambience I got at ten years old... I think! And I always wanted to be a curtain, a bit similar to that. He left King Edward VI Grammar [secondary] School for Boys in Stourbridge in his mid-teens and developed a strong passion for the blues, mainly through his admiration for Willie Dixon, Robert Johnson and early rendition of songs in this genre. I suppose I was quite interested in my stamp collection and Romano-British history. I was a little grammar school boy and I could hear this kind of calling through the airwaves. He abandoned training as a chartered accountant after only two weeks to attend college in an effort to gain more GCE passes and to become part of the English Midlands blues scene. "I left home at 16", he said, "and I started my real education musically, moving from group to group, furthering my knowledge of the blues and of other music which had weight and was worth listening to." Plant's early blues influences included Johnson, Bukka White, Skip James, Jerry Miller, and Sleepy John Estes. Plant had various jobs while pursuing his music career, one of which was working for the major British construction company Wimpey in Birmingham in 1967 laying tarmac on roads. He also worked at Woolworths in Halesowen town for a short period of time. He cut three obscure singles on CBS Records and sang with a variety of bands, including The Crawling King Snakes, which brought him into contact with drummer John Bonham. They both went on to play in the Band of Joy, merging blues with newer psychedelic trends. Though his early career met with no commercial success, word quickly spread about the "young man with the powerful voice"
When I auditioned him and heard him sing, I immediately thought there must be something wrong with him personality-wise or that he had to be impossible to work with, because I just could not understand why, after he told me he'd been singing for a few years already, he hadn't become a big name yet. So I had him down to my place for a little while, just to sort of check him out, and we got along great. No problems. I was appearing at this college when Peter and Jimmy turned up and asked me if I'd like to join The Yardbirds. I knew The Yardbirds had done a lot of work in America – which to me meant audiences who would want to know what I might have to offer – so naturally I was very interested. Plant and Page immediately hit it off with a shared musical passion and began their writing collaboration with reworkings of earlier blues songs, although Plant would receive no songwriting credits on the band's first album, allegedly because he was still under contract to CBS Records at the time. Plant brought along John Bonham as drummer, and they were joined by John Paul Jones, who had previously worked with Page as a studio musician. Jones called Page on the phone before they checked out Plant, and Page hired Jones immediately. Initially dubbed the "New Yardbirds" in 1968, the band soon came to be known as Led Zeppelin. The band's self-titled debut album hit the charts in 1969 and is widely credited as a catalyst for the heavy metal genre. Plant has commented that it is unfair for people to think of Zeppelin as heavy metal, as almost a third of their music was acoustic. In 1975, Plant and his wife Maureen (now divorced) were seriously injured in a car crash in Rhodes, Greece. This significantly affected the production of Led Zeppelin's seventh album Presence for a few months while he recovered, and forced the band to cancel the remaining tour dates for the year. In July 1977 his son Karac died at age five of a stomach infection while Plant was engaged on Led Zeppelin's concert tour of the United States. It was a devastating loss for the family. Plant retreated to his home in the Midlands and for months afterward he questioned his future.Karac's death later inspired him to write the song "All My Love" in tribute, featured on Led Zeppelin's final studio LP, 1979's In Through the Out Door. After the break-up of Led Zeppelin in December 1980 (following the death of John Bonham), Plant briefly considered abandoning music to pursue a career as a teacher in the Rudolph Steiner education system; going so far as to be accepted for teacher-training. He nevertheless embarked on a successful solo career beginning with Pictures at Eleven in 1982, followed by 1983's The Principle of Moments. Popular tracks from this period include "Big Log" (a Top 20 hit in 1983), "In the Mood" (1983), "Little by Little" (from 1985'sShaken 'n' Stirred), "Far Post" (originally only on the B-side of "Burning Down One Side" but popularised by airplay on album-oriented rock stations), "Tall Cool One" (a No. 25 hit off 1988's Now and Zen) and "I Believe" (from 1993's Fate of Nations), another song written for and dedicated to his late son, Karac. In 1984, Plant formed a short-lived all-star group with Jimmy Page and Jeff Beck called The Honeydrippers, who had a No. 3 hit with a remake of the Phil Phillips' tune, "Sea of Love" and a follow-up hit with a cover of Roy Brown's "Rockin' at Midnight". Although Plant avoided performing Led Zeppelin songs through much of this period (he occasionally would improvise his unique Zeppelin screams into his set), his tours in 1983 (with drummer Phil Collins) and 1985 were very successful, often performing to sold-out arena-sized venues. Through the 1980s and 1990s, Plant co-wrote three solo albums with keyboardist/songwriter Phil Johnstone. Now and Zen, Manic Nirvana, and Fate of Nations (featuring Moya Brennan of Clannad). It was Johnstone who talked Plant into playing Led Zeppelin songs in his live shows, something Plant had resisted, not wanting to be forever known as "the former Led Zeppelin vocalist." Although Led Zeppelin split in 1981, Plant and Page occasionally collaborated on various projects, including The Honeydrippers: Volume One album in 1984. In the spring 2 years later Robert performed at the Birmingham Heart Beat Charity Concert 1986. The pair again worked together in the studio on the 1988 Page solo effort, Outrider, and in the same year Page contributed to Plant's album Now and Zen. Also, on 15 May 1988 Plant appeared with Page as a member of Led Zeppelin (and in his own right as a solo artist) at theAtlantic Records 40th Anniversary concert. Page and Plant became a full-fledged performing act from 1994 through 1998, releasing the Unledded album in 1994 and following with an enormously successful tour in 1995: Fourteen years of speculation from their fans and occasional sniping between the two former members ended when Jimmy Page and Robert Plant of Led Zeppelin reconvened their former musical partnership to produce No Quarter. Having long resisted offers from MTV to reform to do an Unplugged show, they finally accepted as part of a deal that also allowed them to visit Morocco to record new material. The album combines the results of both of these projects. The Led Zeppelin material features new arrangements and new instrumentation, including strings, Egyptian musicians and the haunting vocals of British-Asian star Najma Akhtar. Page and Plant recorded their only post-Zeppelin album of original material on the 1998 album, Walking into Clarksdale, an effort that was unsuccessful commercially, leading Plant to return to his solo career. A song from this album, "Please Read the Letter", was re-recorded by Plant with Alison Krauss, winning the 2009 Grammy Award for Record of the Year. Starting in mid-1999, Plant performed until the end of 2000 at several small venues with his folk-rock band, named Priory of Brion. In 1999, Plant contributed to the tribute album for Moby Grape co-founder Skip Spence, who was terminally ill. The album, More Oar: A Tribute to the Skip Spence Album (Birdman, 1999), with the album title referring to Spence's only solo album, Oar (Columbia, 1969), contained Plant's version of Spence's "Little Hands". Plant had been an admirer of Spence and Moby Grape since the release of Moby Grape's eponymous 1967 debut album. In 2001, Plant appeared on Afro Celt Sound System's album Volume 3: Further in Time. The song "Life Begin Again" features a duet with Welsh folksinger Julie Murphy, emphasising Plant's recurring interest in Welsh culture (Murphy would also tour in support of Plant). In 2002, with his then newly-formed band Strange Sensation, Plant released a widely acclaimed collection of mostly blues and folk remakes, Dreamland. Contrasting with this lush collection of often relatively obscure remakes, the second album with Strange Sensation, Mighty ReArranger (2005), contains new, original songs. Both have received some of the most favourable reviews of Plant's solo career and four Grammy nominations, two in 2003 and two in 2006. As a former member of Led Zeppelin, along with Page and John Paul Jones, Plant received the Grammy Lifetime Achievement Award in 2005 and the Polar Music Prize in 2006. From 2001 to 2007, Plant actively toured the US & Europe with Strange Sensation. His sets typically included recent, but not only, solo material and plenty of Led Zeppelin favourites, often with new and expanded arrangements. A DVD titled Soundstage: Robert Plant and Strange Sensation, featuring his Soundstage performance (filmed at the Soundstage Studios in Chicago on 16 September 2005), was released in October 2006. On 23 June 2006, Plant was the headliner (backed by Ian Hunter's band) at the Benefit For Arthur Lee concert at New York's Beacon Theatre, a show which raised money for Lee's medical expenses from his bout with leukaemia. Plant and band performed thirteen songs – five by Arthur Lee & Love, five Led Zeppelin songs and three others including a duet with Ian Hunter. At the show, Plant told the audience of his great admiration for Arthur Lee dating back to the mid-Sixties. Lee died of his illness six weeks after the concert. An expansive box set of his solo work, Nine Lives, was released in November 2006, which expanded all of his albums with various b-sides, demos, and live cuts. It was accompanied by a DVD. All his solo works were re-released with these extra tracks individually. In 2007, Plant contributed two tracks to the Fats Domino tribute album Goin' Home: A Tribute to Fats Domino, "It Keeps Rainin'" with the Lil' Band O' Gold and "Valley of Tears" with The Soweto Gospel Choir. From 2007–2008, Plant recorded and performed with bluegrass star Alison Krauss. A duet album, Raising Sand, was released on 23 October 2007 on Rounder Records. The album, recorded in Nashville and Los Angeles and produced by T-Bone Burnett, includes performances of lesser-known material from R&B, Blues, folk, and country songwriters including Mel Tillis, Townes Van Zandt, Gene Clark, Tom Waits, Doc Watson, Little Milton and The Everly Brothers. The song "Gone Gone Gone (Done Moved On)" from Raising Sand won a Grammy for Best Pop Collaboration With Vocals in 2008. Raising Sand also won Album of the Year at the 51st Grammy Awards. The album has been successful critically and commercially, and was certified platinum on 4 March 2008. Plant and Krauss began an extended tour of the US and Europe in April 2008, playing music from Raising Sand and other American roots music as well as reworked Led Zeppelin tunes. The album was nominated for the Mercury Prize in July 2008. Also in 2008, Plant performed with bluegrass musicians at the New Orleans Jazz & Heritage Festival and Bonnaroo Music & Arts Festival. He appeared as a surprise guest duringFairport Convention's set at the 2008 Cropredy Festival, performing Led Zeppelin's "The Battle of Evermore" with Kristina Donahue as a tribute to Sandy Denny. On 8 February 2009, Plant and Krauss won Grammy Awards for Album of the Year, Record of the Year, Pop Collaboration with Vocals, Country Collaboration with Vocals, and Contemporary Folk/Americana Album. 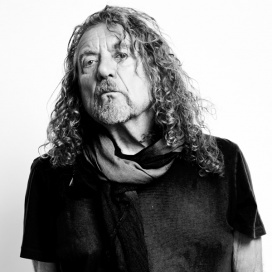 In July 2010, Robert Plant embarked on a twelve-date summer tour in the United States with a new group called Band of Joy (reprising the name of his very first band in the 1960s). The group includes singer Patty Griffin, singer-guitarist Buddy Miller, multi-instrumentalist and vocalist Darrell Scott, bassist-vocalist Byron House, and drummer-percussionist-vocalist Marco Giovino. After a unique show in the United States on 12 September 2010 at the Bowery Ballroom in New York, another eleven-date autumn tour in Europe was announced to last from October to November 2010.North America tour dates were announced 16 November 2010, with the first show being 18 January 2011 in Asheville, North Carolina. A new studio album called Band of Joy was released on 13 September 2010 on the Rounder Records label. The album was nominated for Best Americana Album in the 2011 Grammy Awards, and Plant's performance of "Silver Rider" on the album (a cover from the Low album The Great Destroyer) was nominated for Best Solo Rock Vocal Performance. The band played their final scheduled show together at the Big Chill Festival at Eastnor Castle Deer Park in Herefordshire on 7 August 2011. The show ended with Plant bidding his bandmates "a fond farewell". On 30 September 2011, Plant and Band of Joy played in San Francisco's Golden Gate Park, as part of the 11th Hardly Strictly Bluegrass festival.